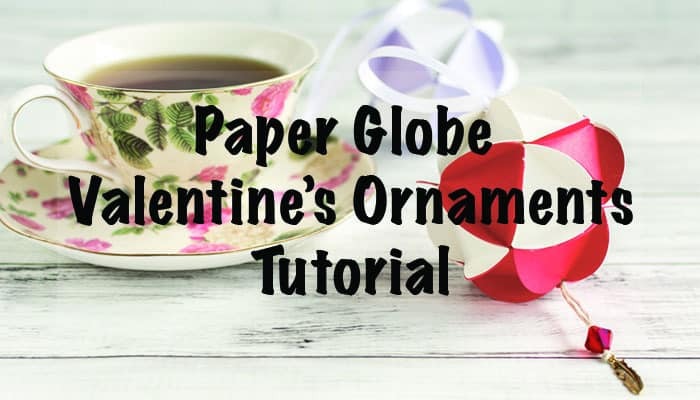 Valentine’s Paper Globe Ornament Tutorial – free Silhouette Studio templates! Earlier this week I told my husband what I want for Valentine’s Day is…a hug. Yes, a hug and a “Happy Valentine’s Day” is really all I need. If I were to ask for any physical gift, I’d prefer something we made together to anything brought home from the store. Actually, just making something together would be a fun way to celebrate – we’ve been working on making wood boxes lately and have been doing some great teamwork! I really do prefer handmade presents and decorations to factory-produced ones so even though I’m not big on Valentine’s Day I had to create something for it! 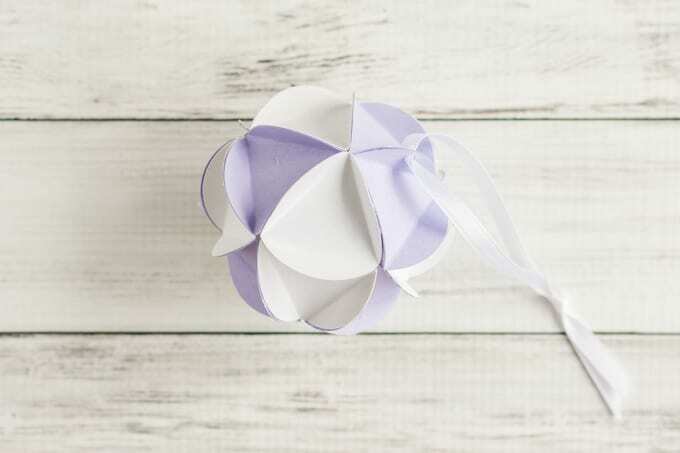 Today I’m sharing a paper globe ornament tutorial with everyone because it’s inexpensive, easy to customize, pretty, and cute! What a great combination. 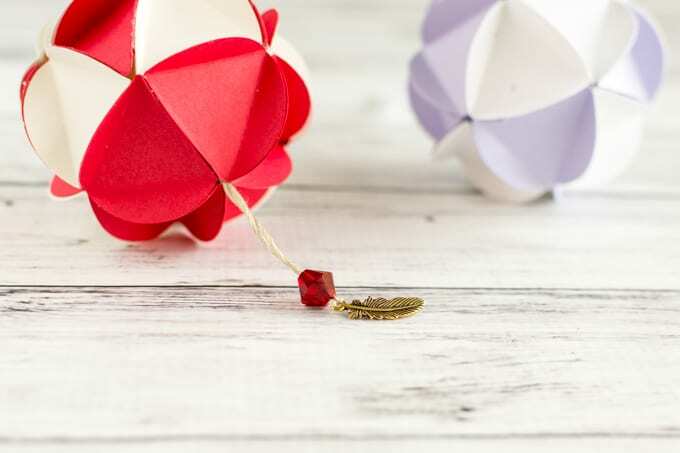 Even though I made my paper globe ornaments with Valentine’s colors, you could easily make these for any holiday or occasion. 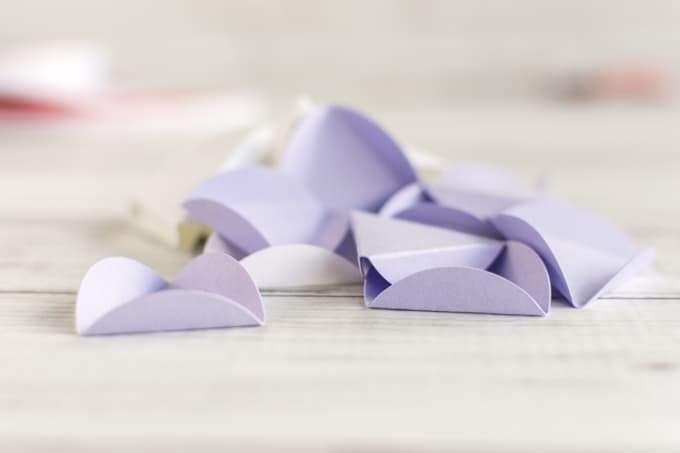 Card stock, scrapbook paper, and even old cards or postcards work equally well for these ornaments! 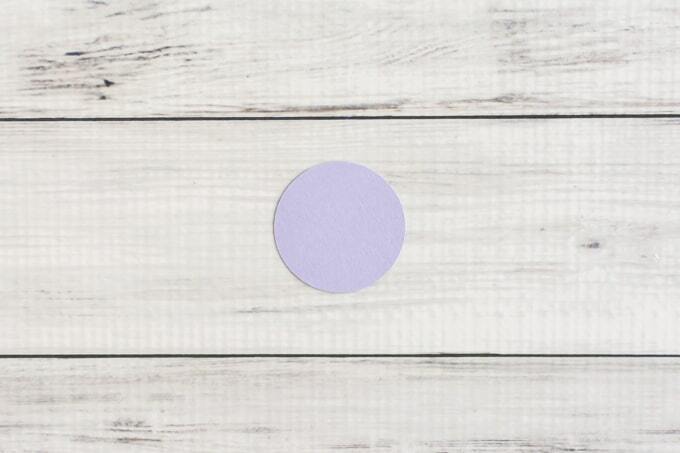 I used my favorite Neenah cardstock because I love the colors and the high recycled material content (it’s available at most Target stores). 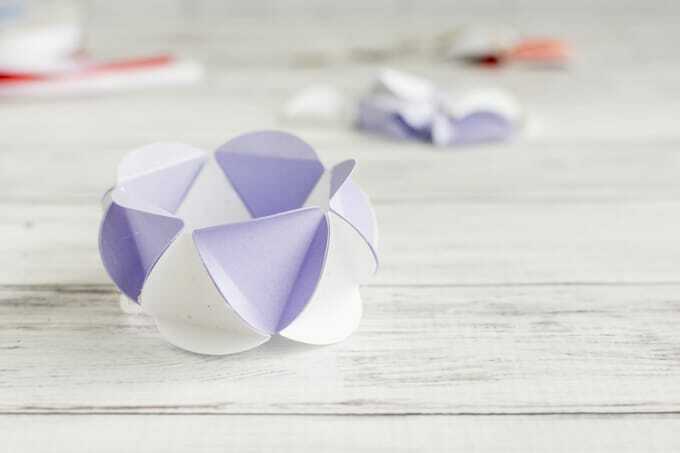 For each paper globe ornament you will need 20 circles. 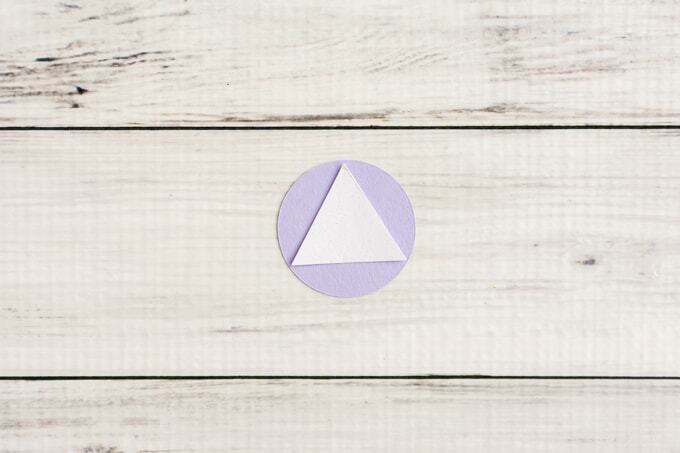 You’ll also need one equilateral triangle template that fits inside the circle. 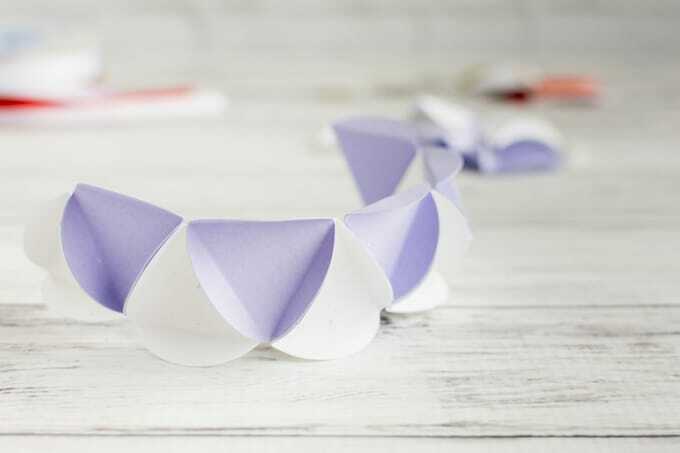 If you can use the downloadable Silhouette file, it has 40 1.5″ circles and 2 perfectly sized triangles. 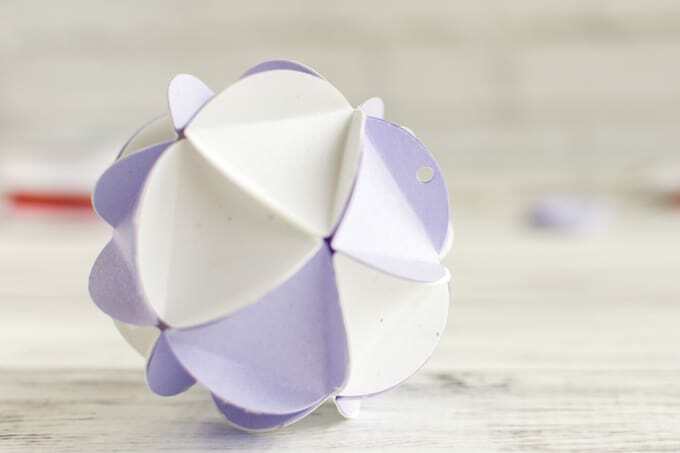 Designed to use a 12×12 sheet, everything is aligned so you can actually use two 12×6 pieces next to each other and cut two colors needed for two ornaments simultaneously. 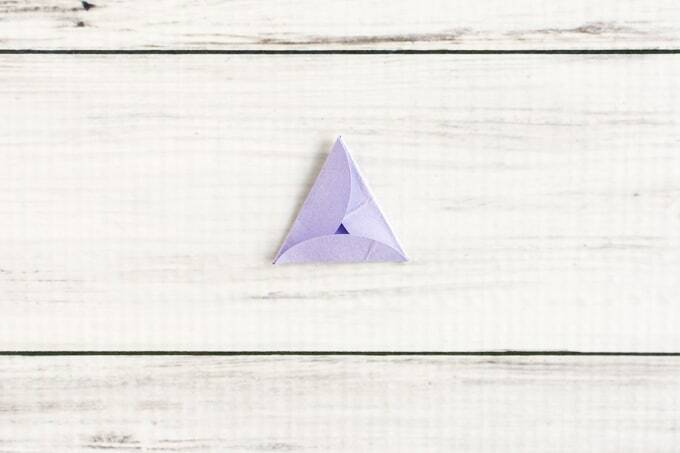 Leave this fold in place, then make another fold as shown. You can’t see it under my finger, but the bottom end of the first fold is immediately adjacent to the bottom edge of the second fold. Try to make the gap between them as small to nonexistent as possible. 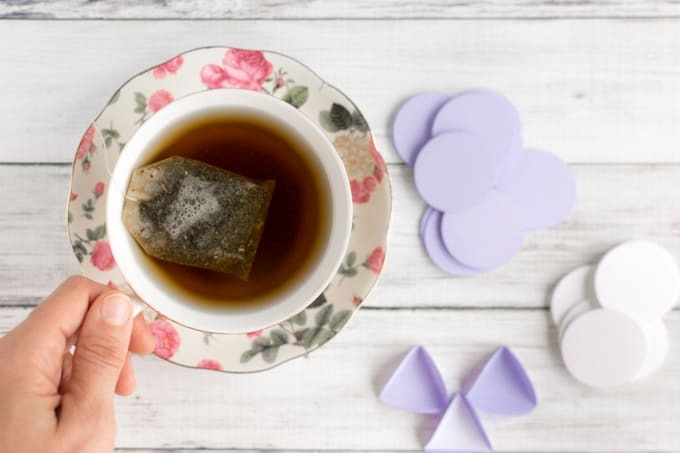 You have your template – yahoo! 1. 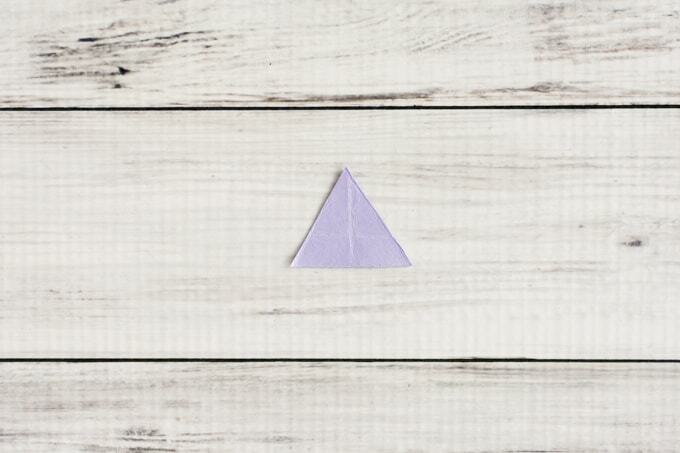 Prepare your triangle template and circles. You’ll need 20 total circles for each globe ornament. I chose to use 10 of one color and 10 of a second color, but you can use as many or few colors as you’d like! 2. 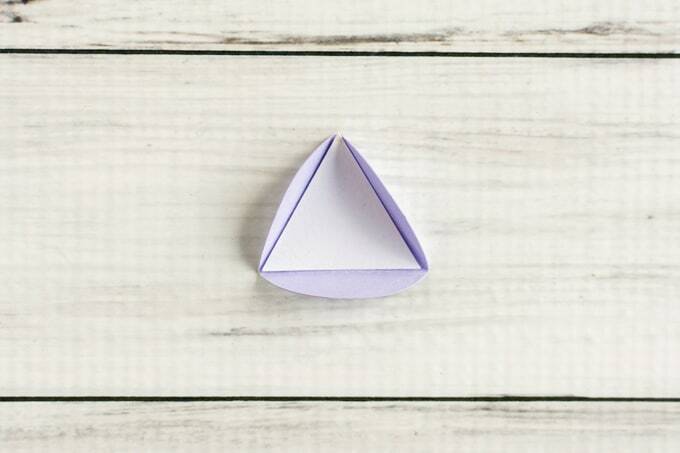 Place your triangle template in the center of a circle. 4. 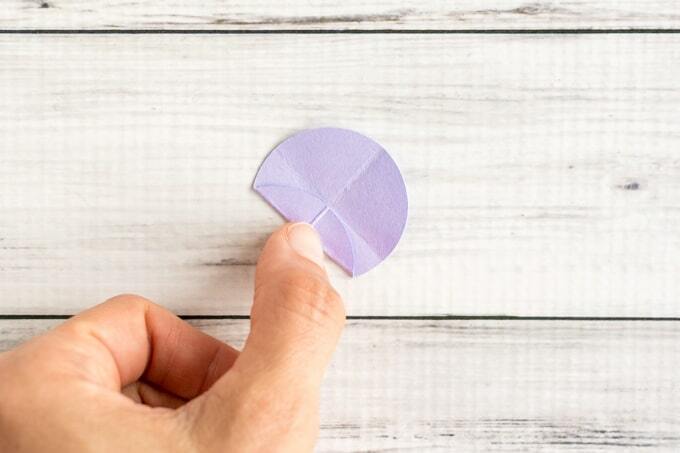 Remove the triangle template and keep folding circles until you have at least 20 folded circles. 5. 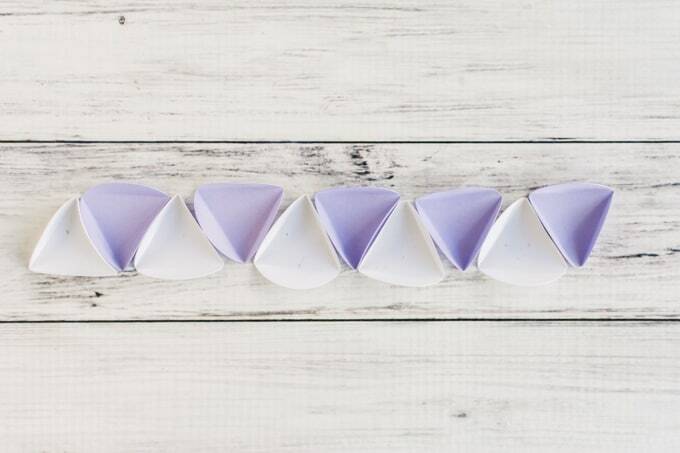 Select 10 folded pieces (I like to use 5 of each color) and arrange them to form a chain. They should alternate orientation, as shown. 6. Carefully use your hot glue to glue this chain together. 7. Bend the chain back towards itself and glue it into a ring. 8. 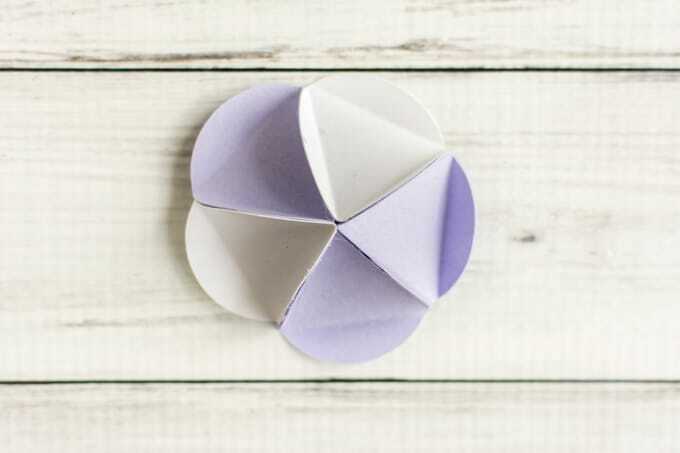 Select 5 pieces for your ‘top’ and 5 more for the ‘bottom.’ You can alternate colors, but the odd number of pieces means the pattern won’t work perfectly. 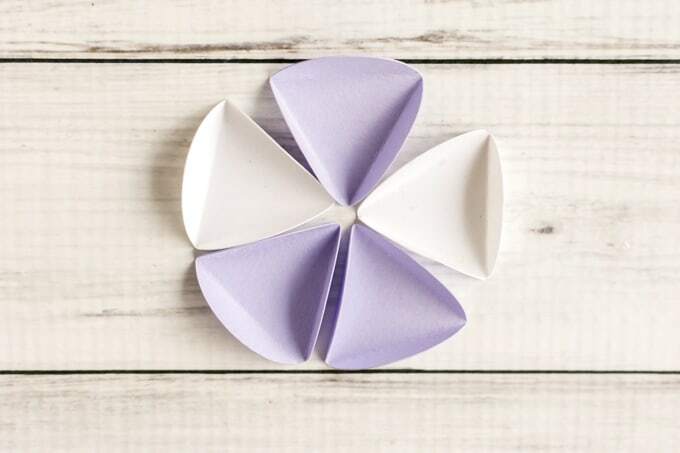 Alternatively, you can make the top one solid color and the bottom another color – the choice is yours! 9. 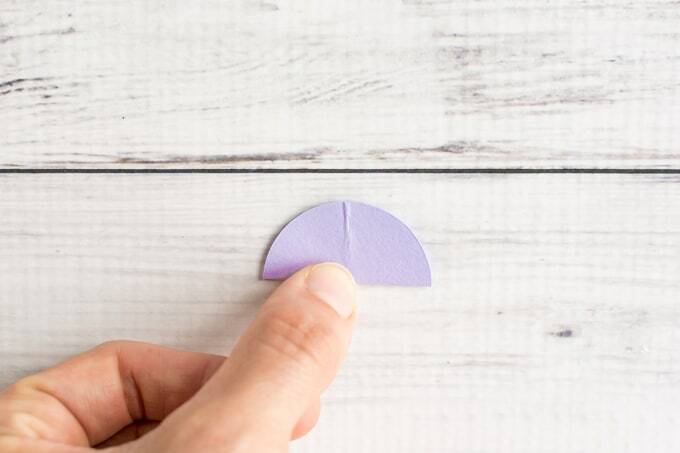 Glue each set of 5 into a round, as shown. 10. If you do have a small hole punch and/or don’t wish to attach charms: Attach the rounds on either side of the ring you completed in step 7. 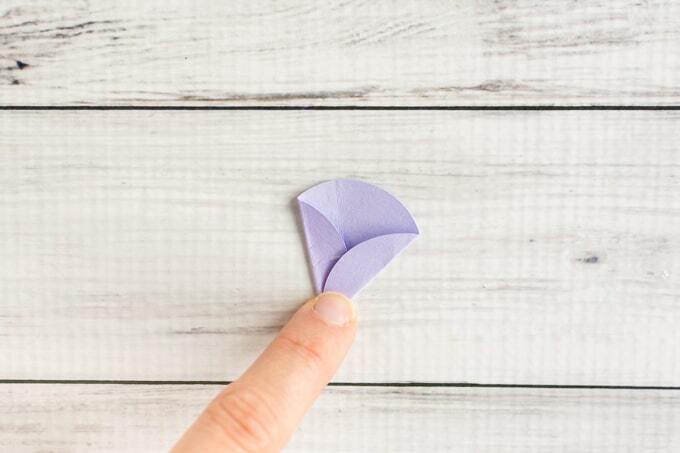 I find it easiest to work one petal at a time instead of putting glue on the entire ring and trying to work quickly before the hot glue hardens. 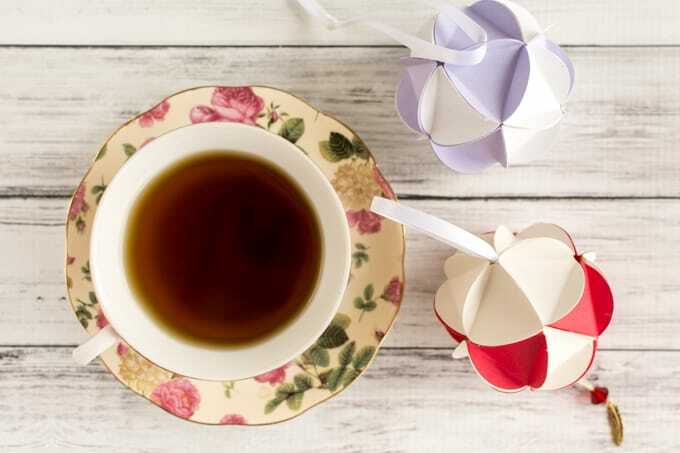 Punch a hole through one set of glued petals and cut an 8-10″ length of ribbon or floss. 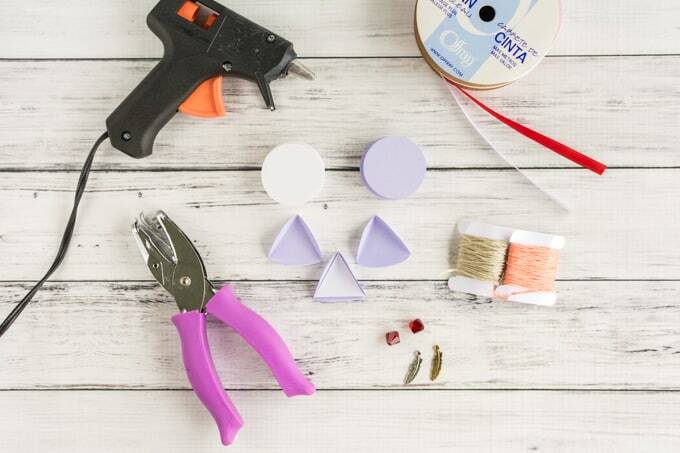 Loop the ribbon through and knot it off to create a hanger. 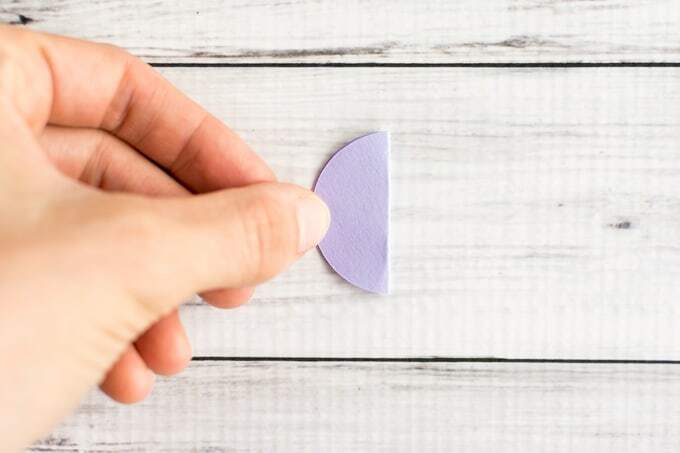 If you do not have a small hole punch and/or want to attach charms: Before securing the top and bottom in place, cut a length of ribbon, make a loop, and thread it through the center hole in one of the rounds. Knot it off on the “inside” prevent the ribbon from slipping through and glue it in place with hot glue, if needed. 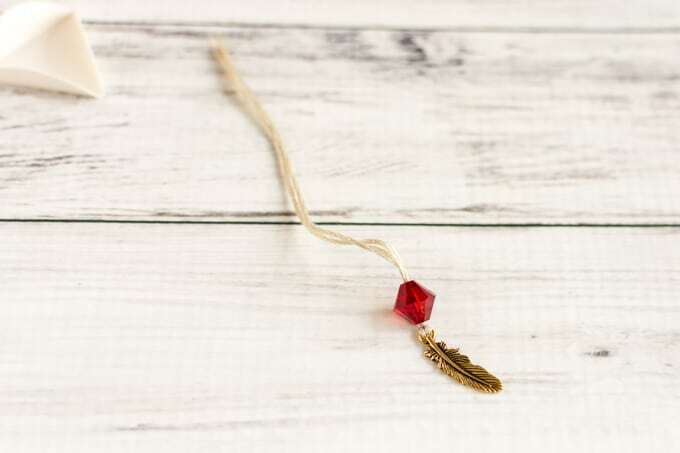 To add charms, thread charms and beads on a length of embroidery floss or ribbon, then thread this floss through the central hole of the ornaments “bottom” piece, knot off inside, and glue in place. Glue the tops and bottoms with attached ribbons/charms in place, working a petal at a time. And that’s that! Enjoy your new Valentine’s ornaments. Do you like to decorate for “small” holidays, too, or just the major ones? What’s your favorite holiday to decorate for? 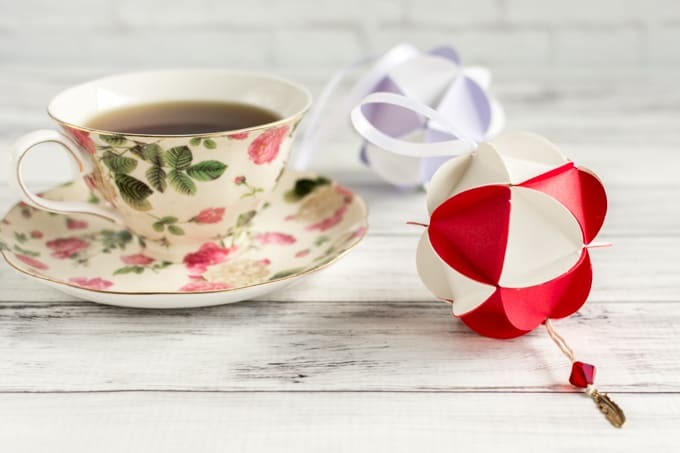 excellent tutorial and beautiful ornaments!